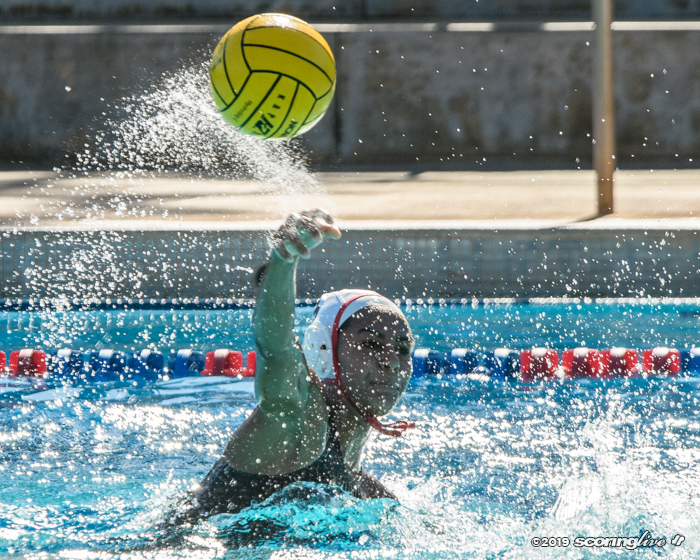 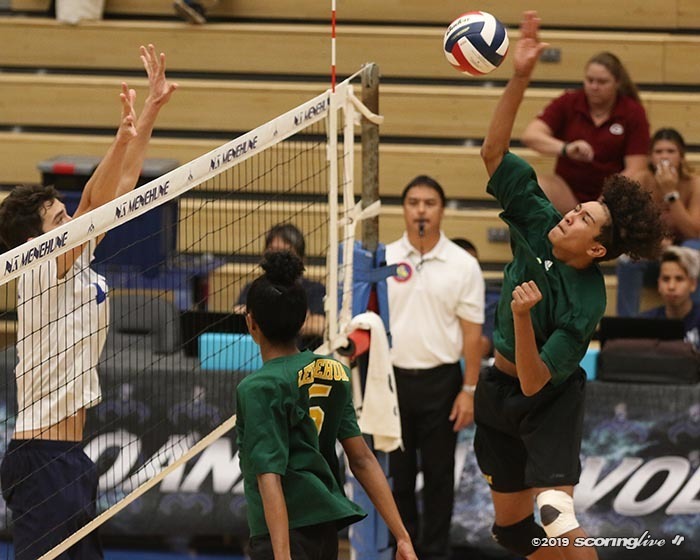 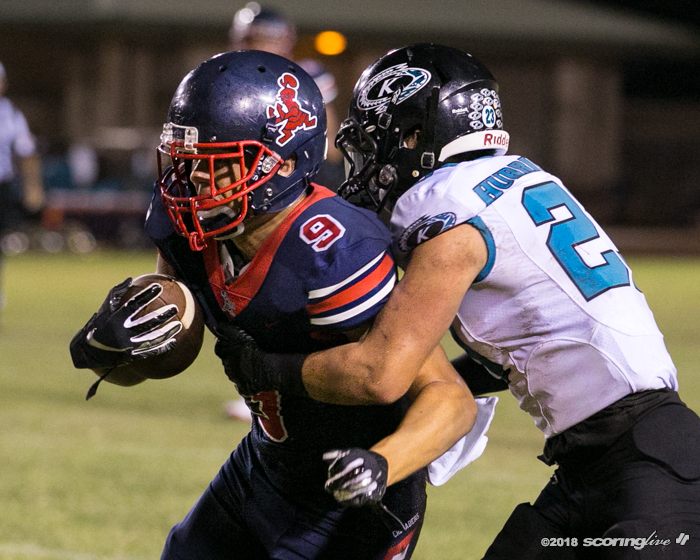 Top-ranked Saint Louis kept its win streak going, but it was a a little too close for comfort. 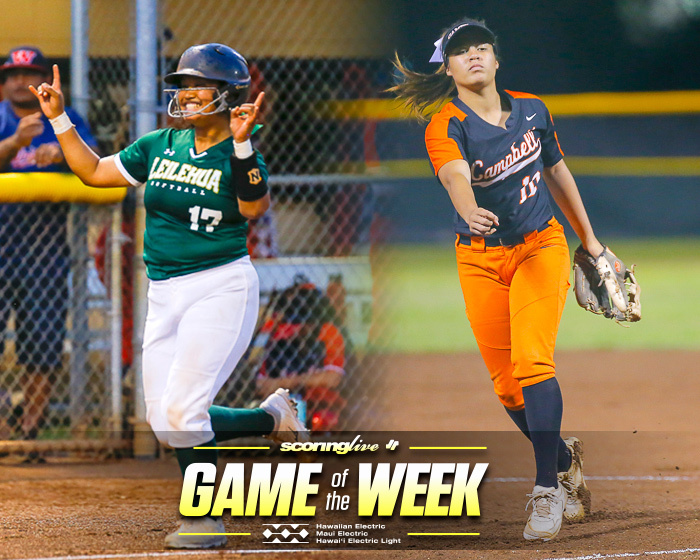 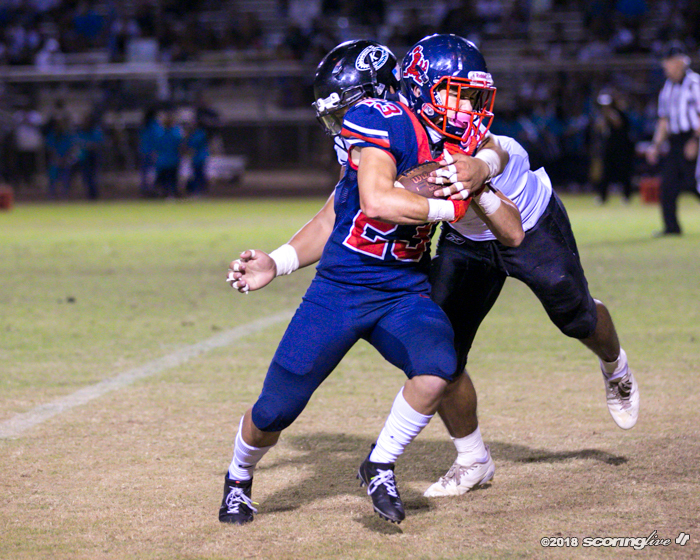 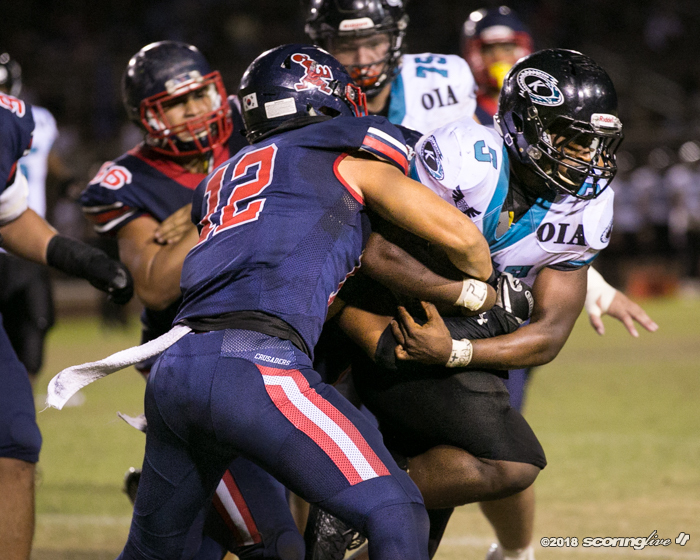 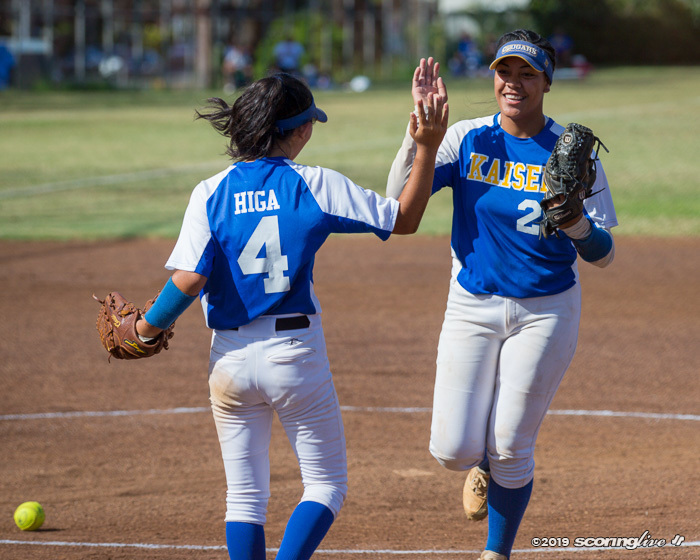 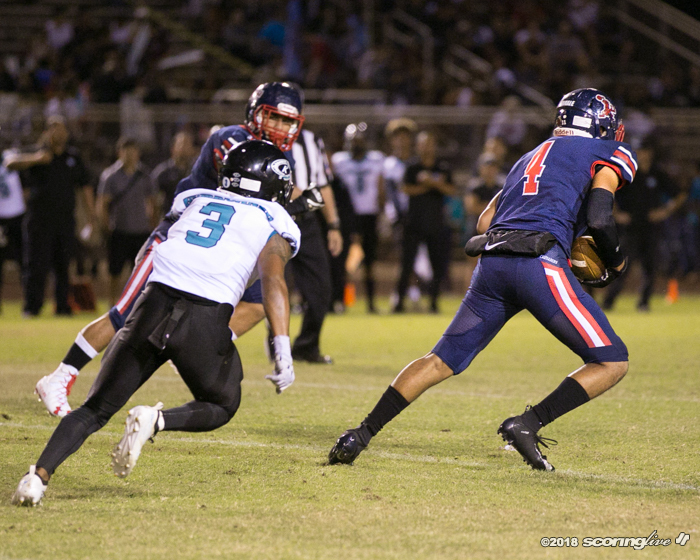 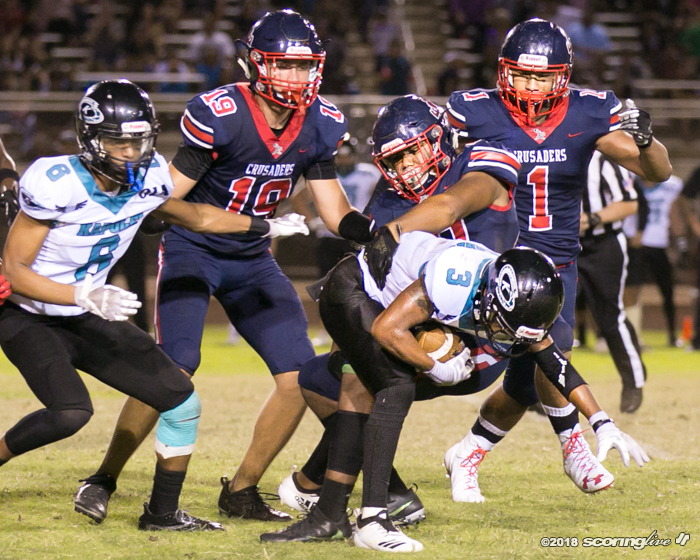 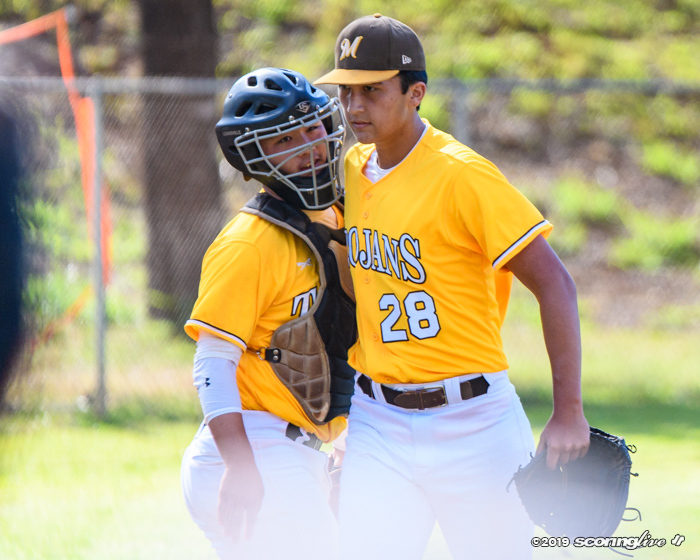 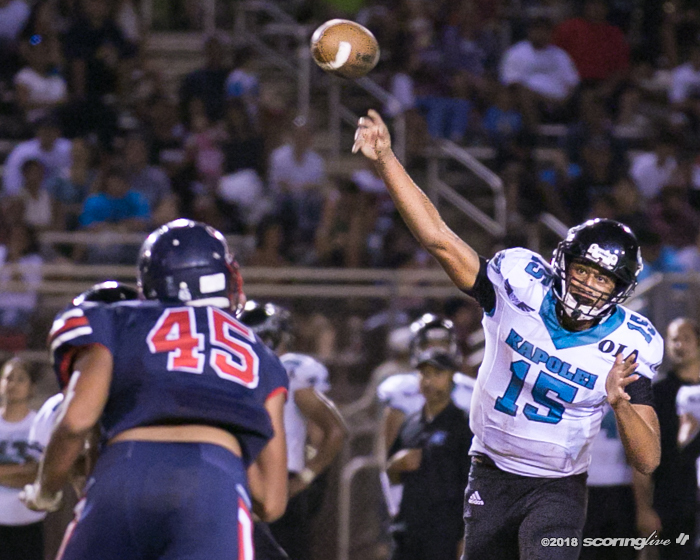 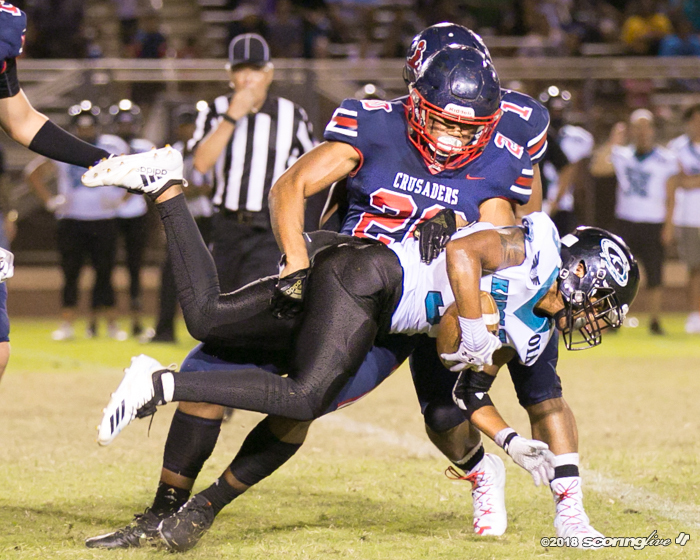 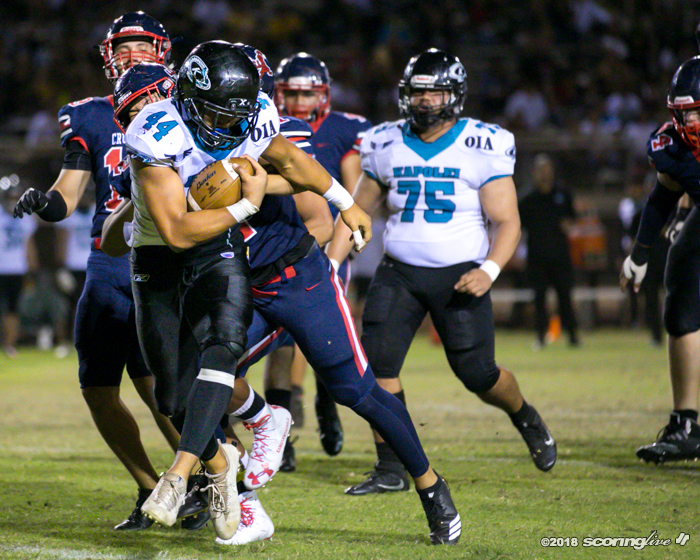 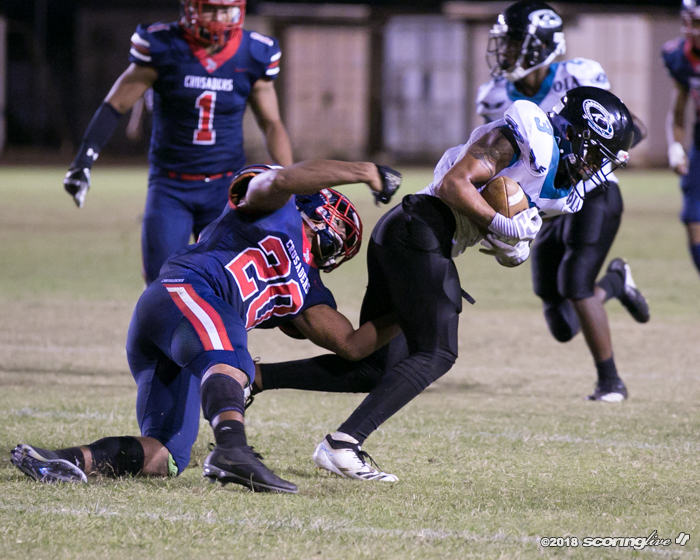 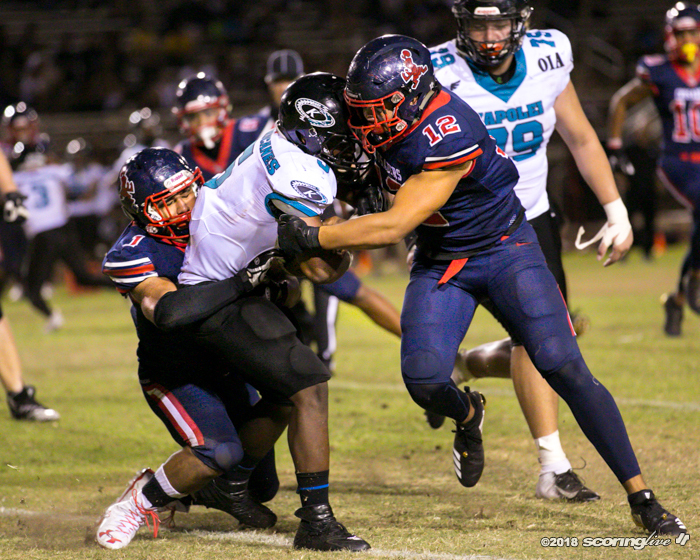 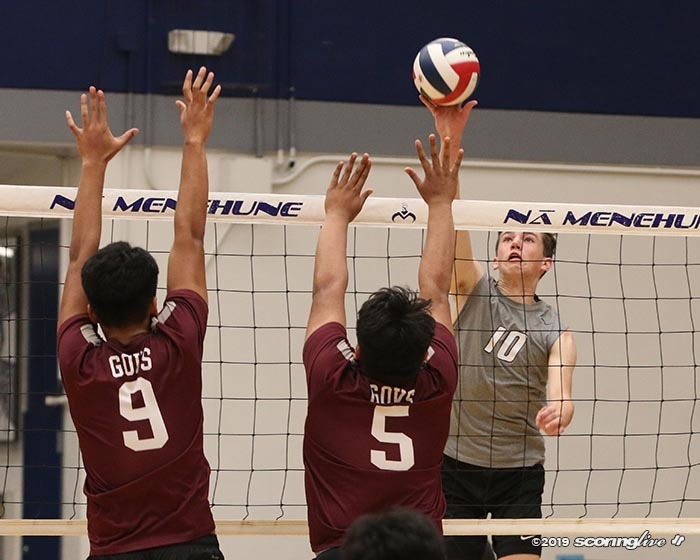 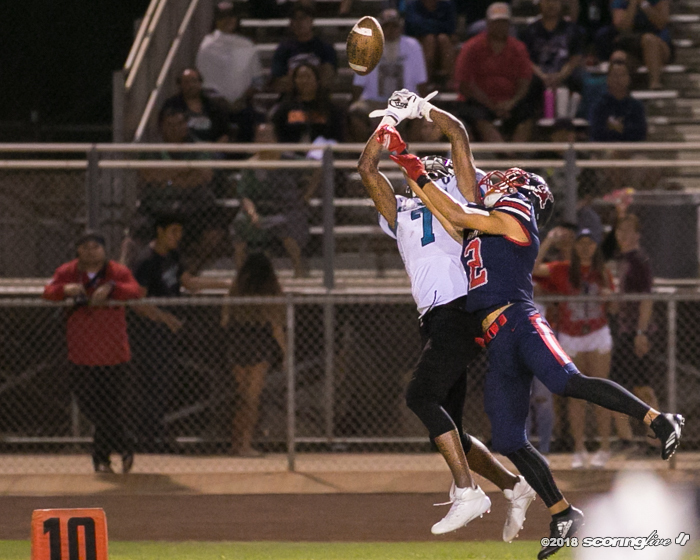 The visiting Crusaders (5-0 overall, 4-0 league) scored the first 23 points of the game before being pushed to the limit by Kapolei (3-4, 1-1) in their 30-22 interleague win Friday night. 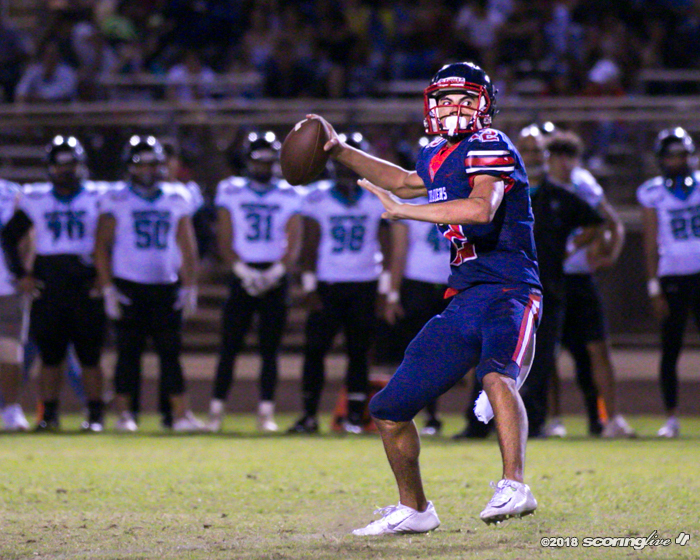 Connor Apo got the start at quarterback for Saint Louis and scored the first touchdown of the game on a 6-yard pass to Koali Nishigaya five minutes into the contest. 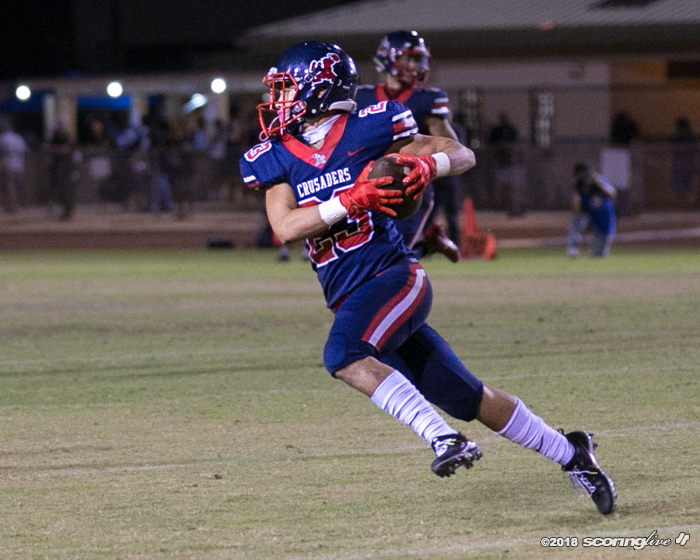 The Crusaders pushed their lead to 17-0 at the half after a 22-yard field goal from Garyn Napuunoa and a 8-yard TD run by Malosi Sam. 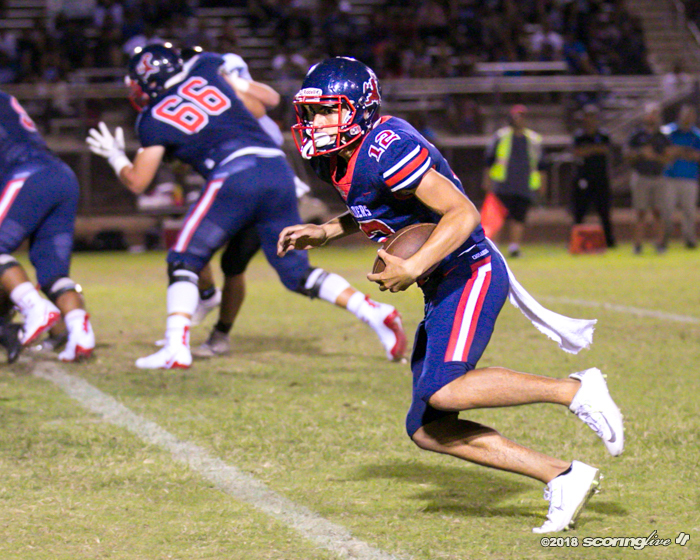 A 20-yard interception return for a score by Junior Wily extended Saint Louis' lead to 23-0 with 9:48 to play in the third quarter. 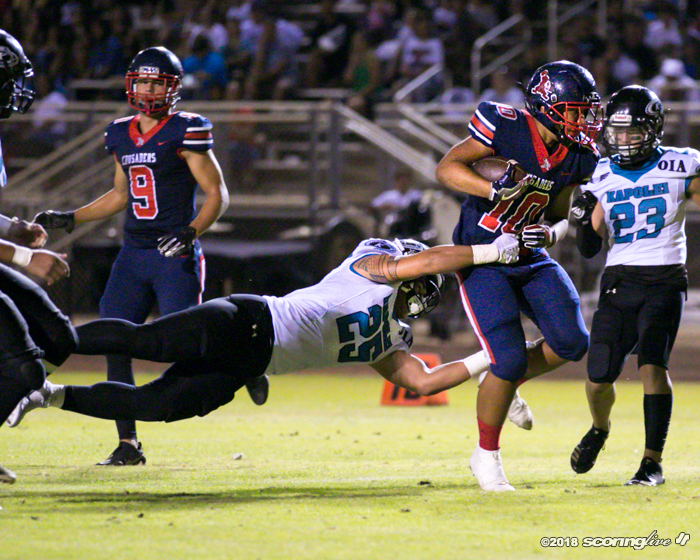 Then the Hurricanes started to rally. 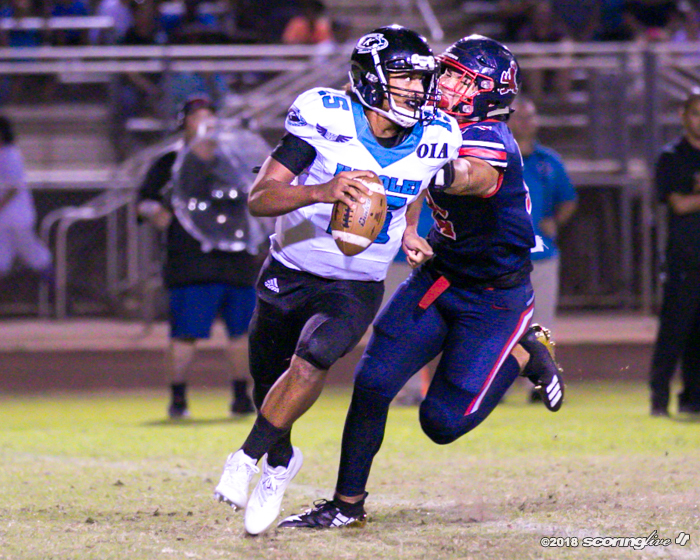 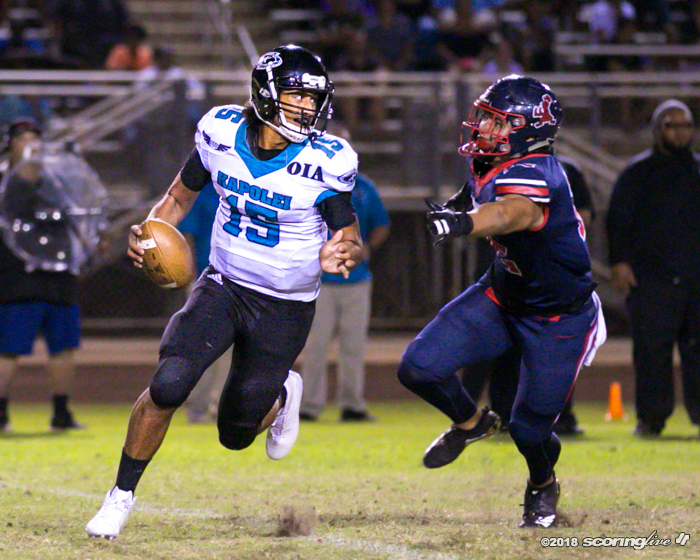 With two 10-yard TD runs by Ezekiel Waiolama, Kapolei was able to make it a 23-14 game heading into the fourth quarter. 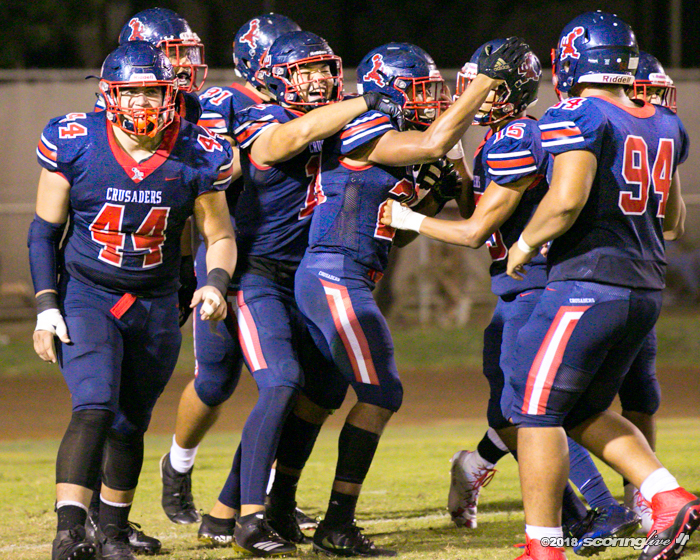 Saint Louis added another score on a 37-yard pick-six by Nicholas Herbig with 9:55 remaining in regulation to keep the Crusaders ahead by two TDs. 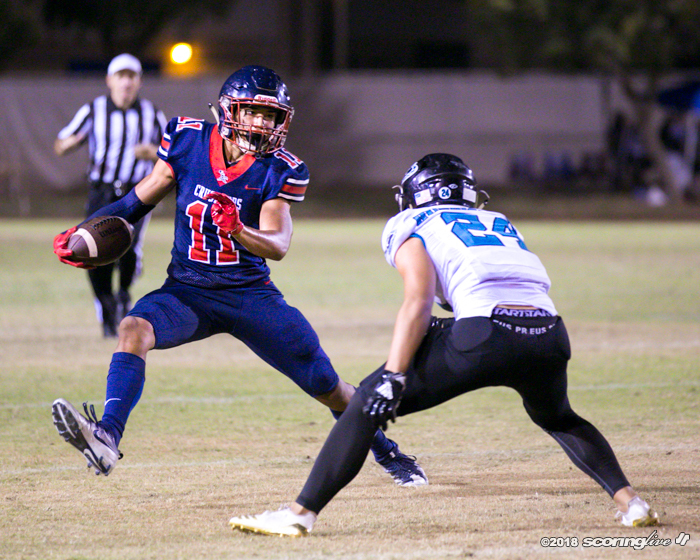 Christian Rapis threw a late TD pass to Sheldon McLeod and the Hurricanes converted the ensuing 2-point conversion to make it a eight-point game late in the fourth quarter, but Saint Louis ultimately was able to hold on for the victory.